The 2018 Chevy Tahoe is already a very popular vehicle among SUV enthusiasts. At first glance, it looks like so much more than just an SUV. It has a new luxurious, cutting-edge blocked out shape that is turning headsred, plus a shiny, chrome-tipped exhaust. This vehicle is impossible to ignore. It looks amazing and drives impressively well. It’s a powerful vehicle that withstood many tests and refinements to make it the best utility vehicle it could be. The 2018 Chevy Tahoe has a mighty V8 engine that makes an exciting noise if you are in the driver’s seat. Its 10-speed automatic transmission as part of Chevrolet’s Performance Package turns the engine into a work of art and would be sensitive to any lead foot. If you opt for manual mode, you’ll see that there are ten forward gears. You might not even know you wanted that much power in a utility vehicle, but if you ever had to tow anything you would change your tune. Driving this stylish, fun, and powerful vehicle isn’t without its perks. As standard SUVs go, the mileage is in keeping with other Chevrolet vehicles. They are definitely ahead of the curve when it comes to rated mileage: a combined 19 with up to 16 city / 23 highway. The Tahoe has impressed mileage testers with these EPA rated numbers exceeding several competitors. The Tahoe’s most powerful engines rate on the same level as the Mercedes-Benz GLS450, which also has some of the best estimates across the board. It’s passed every fuel-economy test with flying colors, even the ones that replicate how most people drive on the highway. It was road tested on a 200-mile out-and-back loop on Michigan’s I-94 highway. The speed was maintained at 75 mph with cruise control, and it still performed very well. Makers of the Tahoe understood that this machine was going to have to be able to stand out when it came to trekking out on long vacation trips. Tahoe’s Off-Road package was testing on a fuel loop. It passed the test! The tires are what did the job. However, these new tires are all-terrain and have a different all-wheel-drive system. Put up against its rivals, the Tahoe performed well in every area, impressing critics across the board. It does this with a sharp, elegant look, and a roaring engine that would entice any lover of SUVs to take it out for a spin. It’s 2018, so you know this vehicle comes standard with a ton of new technology upgrades. This includes the addition of Tire Fill Alert to Tire Pressure Monitoring System, Power-adjustable pedals, Forward Collision Alert, IntelliBeam headlamps, Low-Speed Forward Automatic Braking, Lane Keep Assist, and Safety Alert Seat. And of course, it has upgrades for just enjoyment too, including steering wheel-mounted audio, cruise and Driver Information Center controls. The new Driver Information Center has a 4.2-inch diagonal multi-color screen. HD Radio is standard with an IO5 Chevrolet MyLink Radio with an 8-inch diagonal color touch-screen. The 2018 Chevrolet Tahoe introduced this year a new Performance Package, making it the sportiest version yet. The most important components of the package include The 6.2L V-8 L86 engine, the Hydra-Matic 10L80, and the Magnetic Ride Control suspension with performance calibration. The magnetic ride control suspension is performance-tuned, which is important for ensuring that a heavy vehicle breaks well. It also does well with acceleration and cornering, not something you would expect from a typical SUV. Still, the 2018 Chevrolet Tahoe delivers a plush, gentle ride. At 420 horsepower and 460 pound-feet of torque, the 2018 Chevrolet Tahoe is so much more than a utility vehicle. It’s a powerful, stylish fun machine. The huge 6.2L V8 is part of the “Rally Sport Truck’s” Performance Package. If you want a stylish SUV, performance packages are the way go, and they have some of the best trims on the market. The performance-tuned MagneRide suspension system paired with a 10-speed automatic transmission allows for some major towing. The 6.2L EcoTec helps with working the throttle, achieving an 8,400-pound tow rating, which is 1,800 pounds heavier than other rigs. The 2018 Chevrolet also includes the optional Borla performance exhaust system. This is what makes the engine capable of letting lose an extra 7 to 10 horsepower at the wheels. You get 28 percent more flow and 6-piston front brake Brembo calipers. There is better heat dissipation because the brakes offer 84 percent more swept area. Combined with 42 percent more rotor area than standard brakes. The 2018 Chevrolet Tahoe gets the 0-60 mph sprint in just 5.7 seconds! Again, very impressive by full-size vehicle performance standards. You typically don’t think of Tahoe’s as fast enough to race but with this engine its possible. 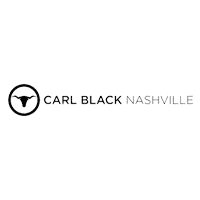 Here at Carl Black Chevrolet of Nashville, we deal in all kinds of vehicles. We are not just out to sell you any old car or truck. We want to meet your specific needs. 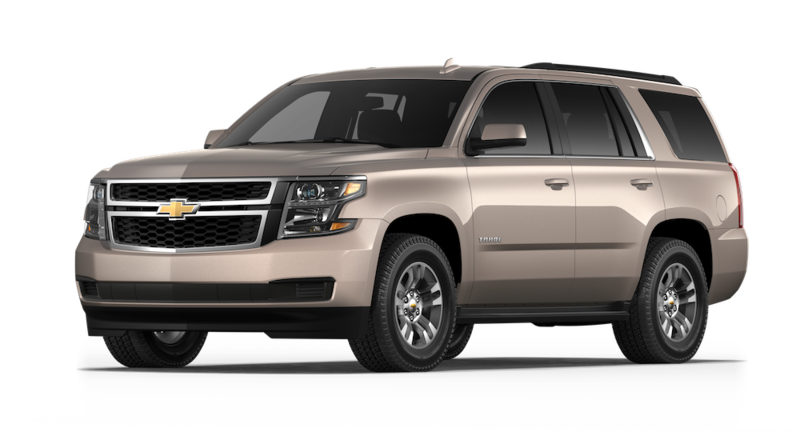 If you specifically require a utility vehicle like the 2018 Chevrolet Tahoe, we know just what to show you. When you walk through our showroom doors, we want you to feel that you are a priority. Our highly qualified dealers are excited to meet you and determine your needs. We look forward to telling you all you need to know about the 2018 Chevrolet Tahoe. We are here to answer any questions you might have. We can’t wait to show you all the 2018 Chevrolet Tahoe’s we have in stock and watch your excitement as you test drive them. Our Chevrolet dealership understand how necessary it is to have an extensive inspection process. That’s why we are a Chevrolet dealership. We only carry cars that you can put your full trust in. We care about making our customers happy! Come visit us at 535 Murfreesboro Road in Nashville and meet with a member of our team. We look forward to helping you!